I decided to re-base the limited edition Bonesinger miniature on the ruins of a mighty Titan. I was lucky enough to be able to purchase the Titan mask (taken from the excellent Forge World kit) through an eBay auction. 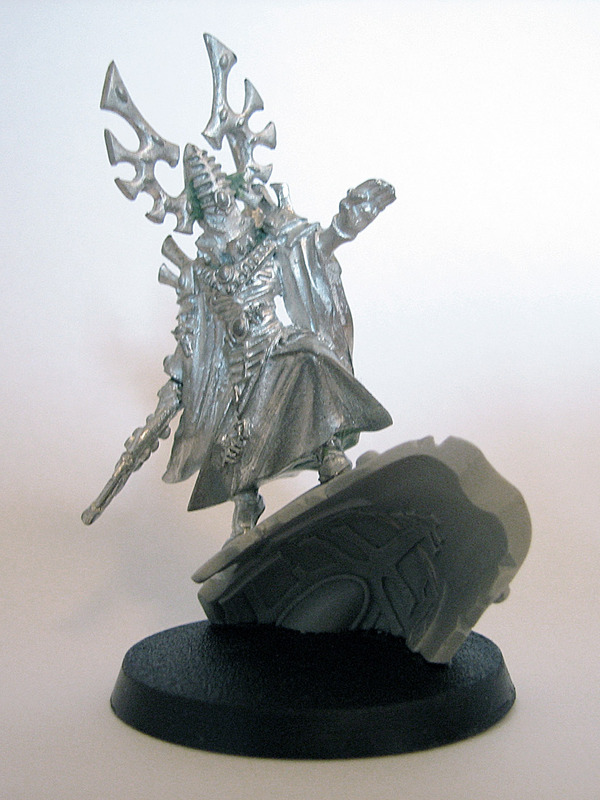 This Farseer is a companion piece to this conversion and stands on a similar Titan mask. I cut the Titan mask at an angle so that the Bonesinger would appear to stand upright on it. The detailing on the interior of the Titan mask was too good to hide, so I chose to position the mask so that it was visible. 1. 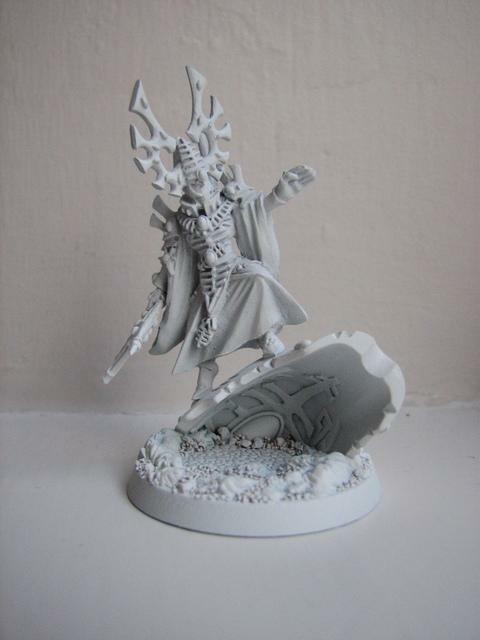 As one of the leaders of my Eldar force, a suitably impressive base was needed for this miniature. I modelled a shallow rock pool on the base, with the ruined Titan mask creating a small outcrop. 2. 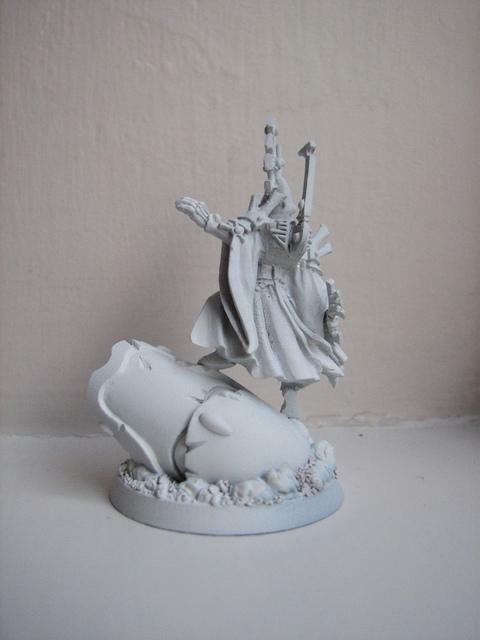 The completed conversion, ready for painting. Some weathering was modelled on the remains of the Titan. 3. A view from the back.